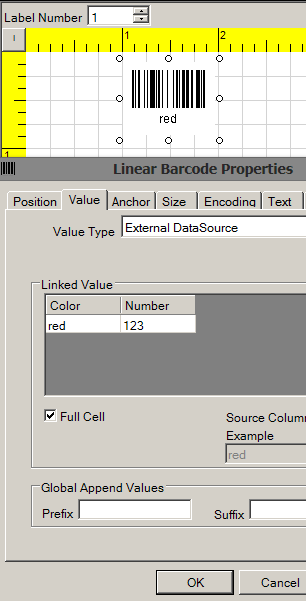 How to concatenate Barcode Label Software External Data fields? 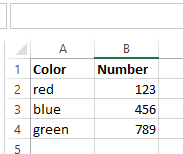 I need to create a barcode from several Excel fields. I've successfully referenced the external Excel file and when I select the table in the Barcode Properties all the fields display. However, the barcode renders as a single field. 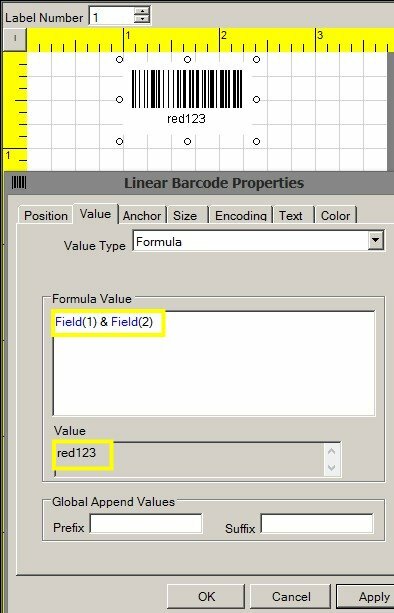 How can I set Color field and Number field to a single barcode? From the Value Type drop down, select Formula. Then use the syntax Field(1) & Field(2) to concatenate fields.